Care: Easy, a daily groom to remove loose hairs and clean the teeth daily. Trim the claws as necessary, usually every 4-6 weeks. Persians are sweet and gentle cats who are extremely affectionate and bond well with humans. They get along well with other pets and people but tend to avoid boisterous younger children. 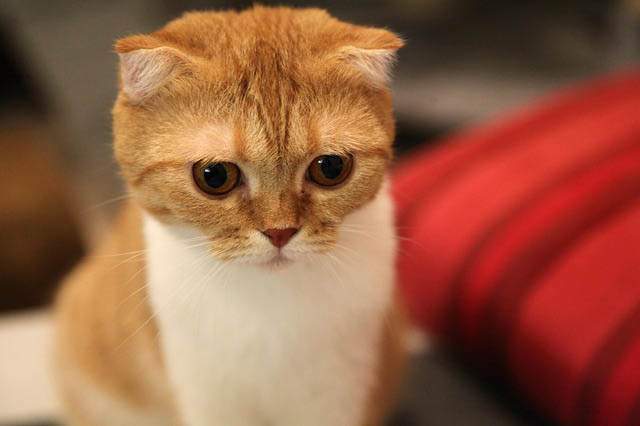 The most recognised feature of the Scottish Fold is the curled down ears, which gives it a beautiful round face. They are a quiet breed of cat, affectionate, intelligent, quiet, sweet and loyal. This is a breed who gets along well with people and other household animals and children. 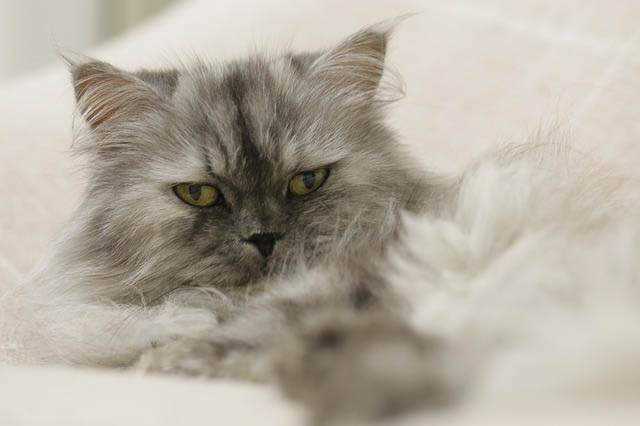 The Exotic is essentially a shorthaired Persian. It shares many of the Persian traits such as a laid-back and gentle nature and a characteristic round face with a flat nose. Exotics are sweet, affectionate, loyal, fun loving and get along with people, including children and other pets. They are not as demanding or obtrusive as other breeds of cat but it is said they do like to follow their human companions around the house. The Russian Blue is an ancient breed of cat who form close bonds with their human family. They are sweet, devoted and inquisitive. The Russian loves to follow his or her human family from room to room. 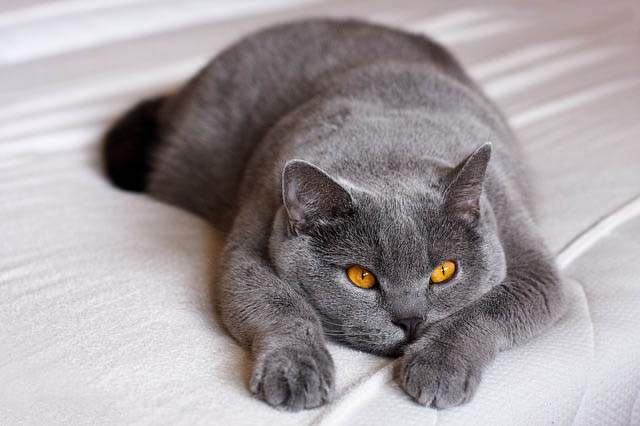 Although there are no hypoallergenic cat breeds, the Russian Blue can be better tolerated because they produce less Fel d1 than other breeds of cat. 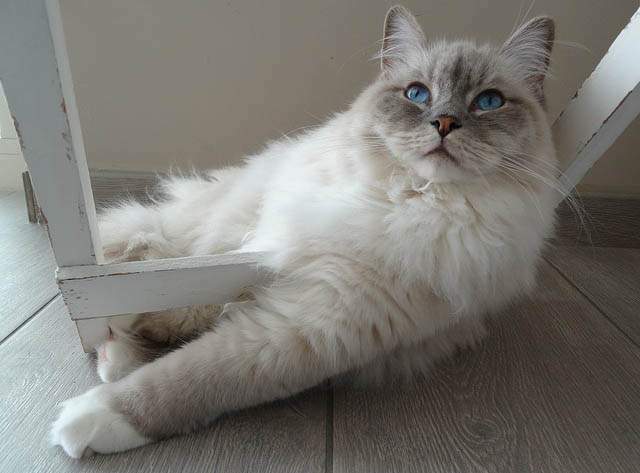 Their laid-back personality makes the Ragdoll a great family pet. They are known to flop in their owner’s arms, however, despite what is said about the Ragdoll, they do feel pain just like any other cat. Ragdolls thrive on companionship and are never far from their human companions. They are extremely loyal and almost dog-like in their nature. They get along extremely well with people, including children and other pets. It is not uncommon for Ragdolls to choose one favourite human in the family, although they will get along with everyone. 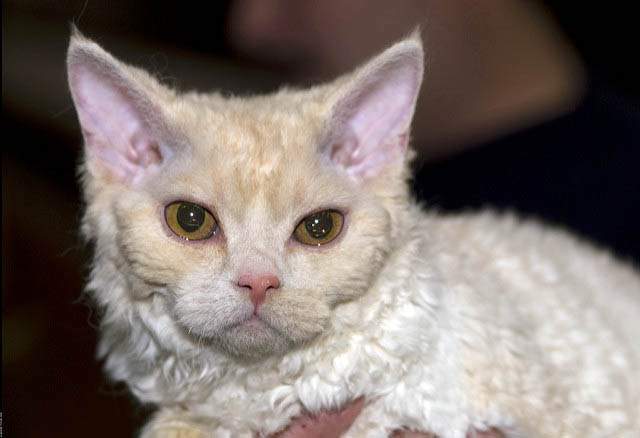 The Selkirk Rex is a laid-back breed of cat, similar to that of their Persian and British ancestors. That doesn’t inhibit their playful nature, though. They do love a game but are not highly active like some other breeds can be. The breed is known for its laid-back and placid personality. They are extremely sociable and thrive on human company. They make a great family pet due to their easy nature. 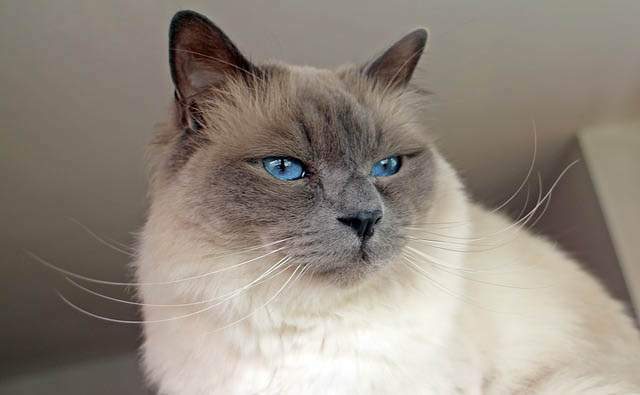 Birmans are a sweet-natured breed, words used to describe them include gentle, playful, even-tempered, affectionate, intelligent, quiet and faithful. A quiet and laid back breed of cat, the Birman is not as in your face like some breeds of cat. They are an ideal companion for single people, families, and retirees and homes with children and other pets. 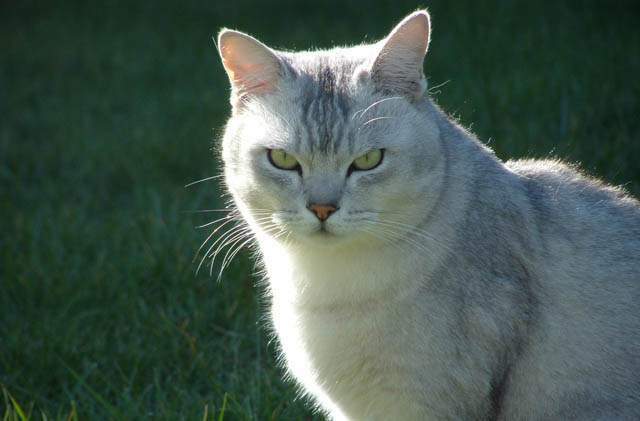 Amiable, friendly and laid back describe the British Shorthair. 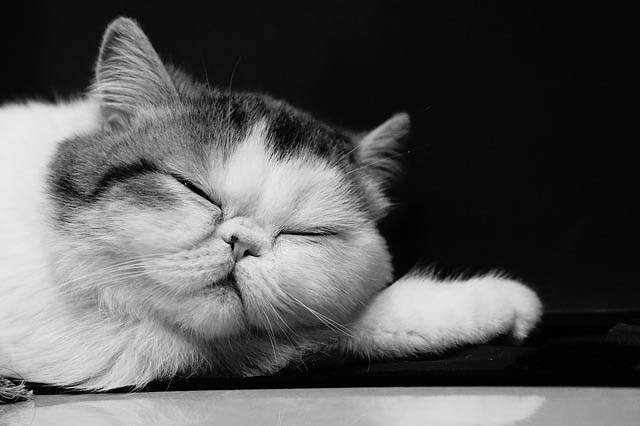 As kittens, they are playful but adult British Shorthairs tend to be less active than other breeds. They are a fairly independent breed of cat and are happy to amuse themselves (often by snoozing). They are not a vocal cat. Colours: The Burmilla comes in 5 colours of either shaded or tipped: Black, Blue, Brown, Chocolate, and Lilac. A beautiful shaded or tipped cat with luminous green eyes. The breed came about by an accidental mating between a Chinchilla cat and a Burmese. Burmilla cats have the best features of both the Burmese and the Chinchilla. Burmillas love to play but are not as energetic as some of the more active breeds. The Burmilla is an affectionate cat who enjoys being a part of the family. Next articleCan Cats Get Cold – How Cold is Too Cold For a Cat? Most black cats are either domestic shorthairs or domestic longhairs.